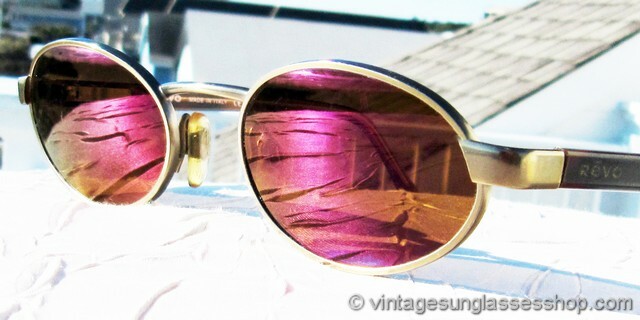 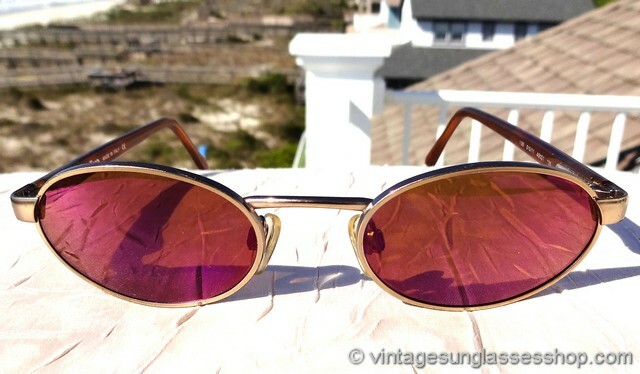 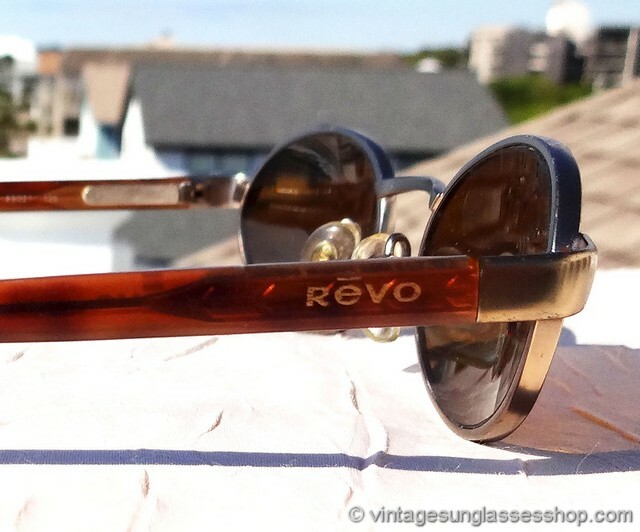 Vintage Revo 1130 010 sunglasses feature beautiful purple mirror Revo lenses that form the perfect complement for the tortoise shell ear stems and antique gold front frame and hinges. 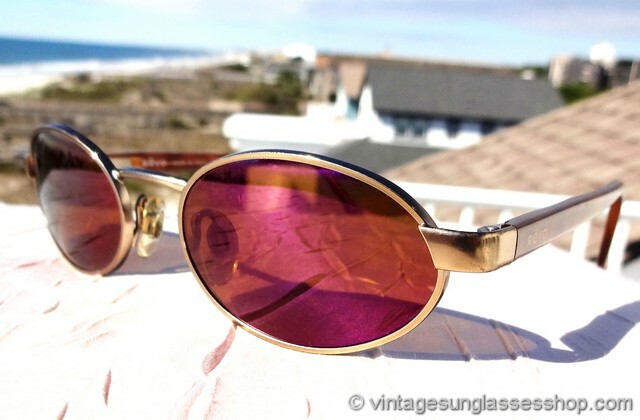 Revo purple lenses are produced on an amber mineral glass base lens with purple tint flash coating applied to the exterior that will pick up rich purple hues out in the sunlight. 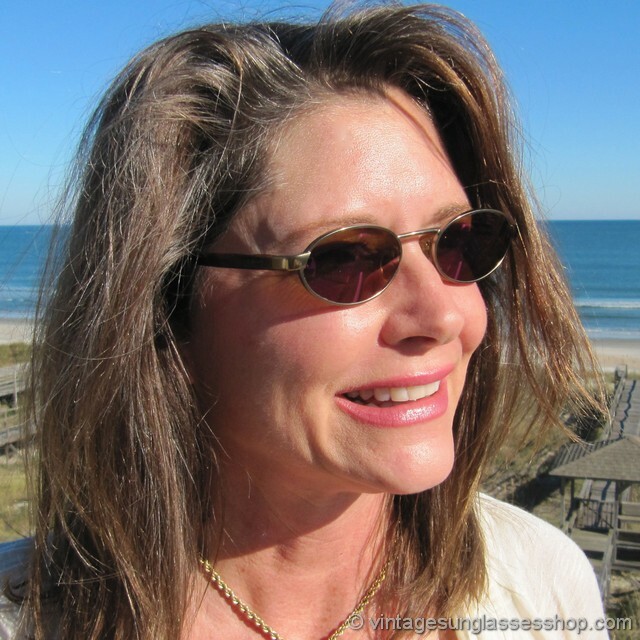 The unisex Revo 1130 frame measures 5.125" temple to temple, and the lenses measure approximately 1.75" x 1.125" at the widest points with the left lens laser etched H20 to indicate Revo's advanced polarization. 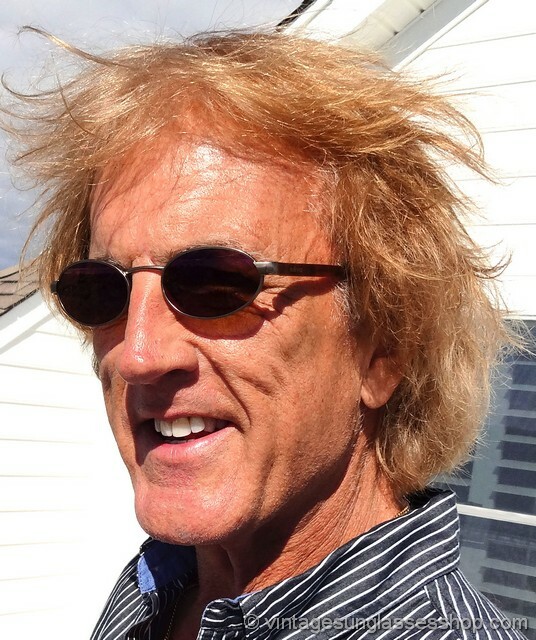 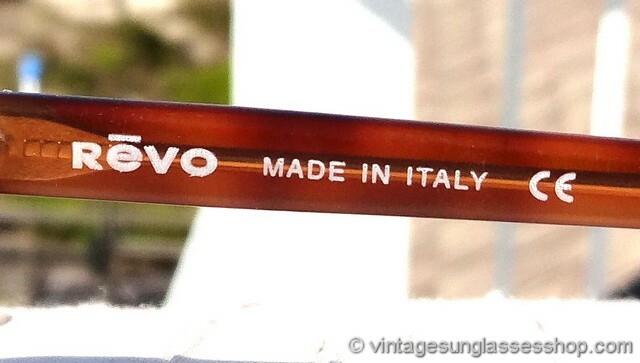 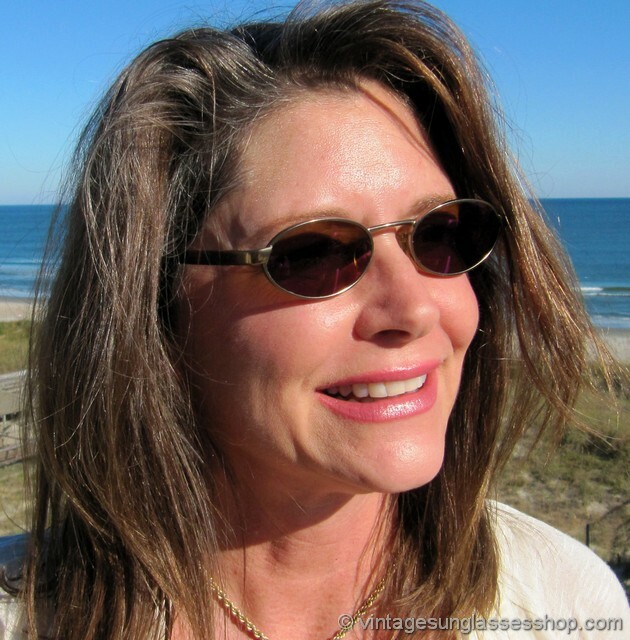 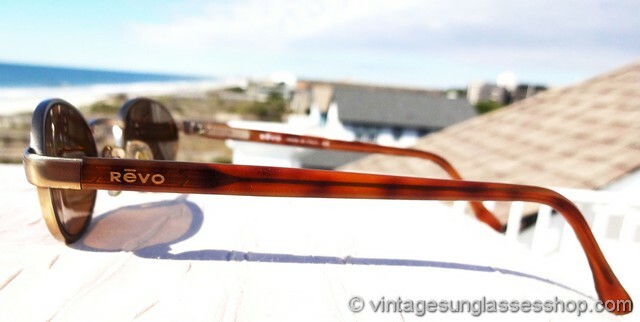 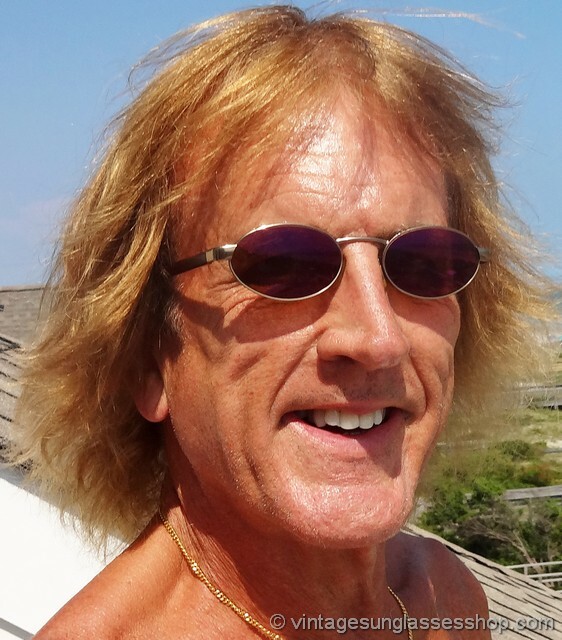 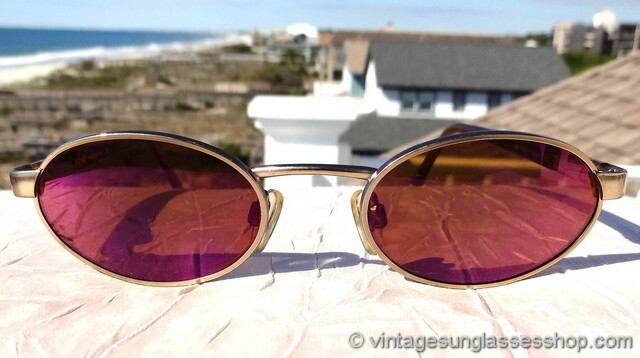 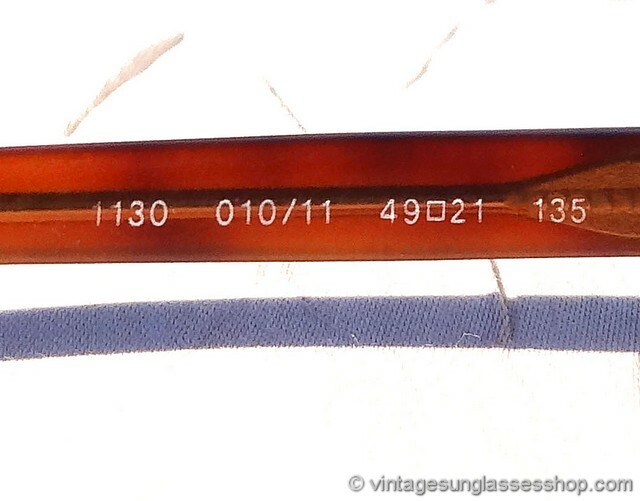 You'll find the Revo logo embossed in gold on the exterior of both tortoise shell ear stems and the inside of one ear stem is marked 1130 010/61 49  21 135, part of a Pensacola, FL collection of fine vintage sunglasses from the 1980s.